Congratulations and well done to Mr. Murphy and Fourth Class who scooped two awards at the ‘Féile Náisiúnta’ All Ireland drama competition in Mullingar. Their drama, ‘An Scathán Draíochta’, got first in their category – ‘Scoláirí na Scoile i Rang 3 agus Rang 4′ and also won best overall drama for a non Gaelscoil – ‘An Bhunscoil is fearr nach Gaelscoil nó Scoil Gaeltachta í’. On May 7th, Mr. Murphy and a couple of lucky students are on the road to Croker to collect their prizes! Bronnfar na duaiseanna i bPáirc an Chrócaigh ar an gCéadaoin, 7 Bealtaine, ag 1.30pm. Coming to a Stage near you! Note: No Dwarfs have been harmed during the production of this drama. Fourth class performed the play An Scáthán Draíochta in Glór for a competition which got us through to the Munster Final. This final will take place on March 19th in Glór .Roisin Cahill was snow white who won best actress out of twelve schools. 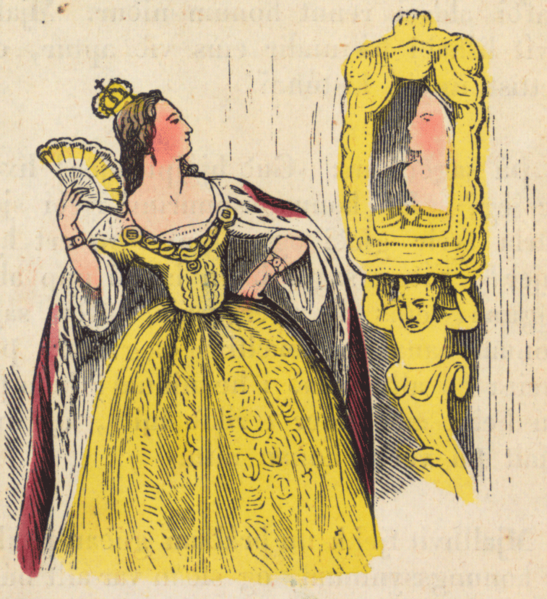 Emma O Dwyer was the evil queen who was determent to kill snow white. The seven dwarfs were Brian Corry, Dylan Collins, Charlie Mc Guinness, Morgan Lahiffe, Sidney Fletcher Burke, Luke Hardin and John Blake. It was a splendid day out for 4th class. But not the last performance in this competition! !Many thanks to Mr Murphy for all his help and technical guidance!! !